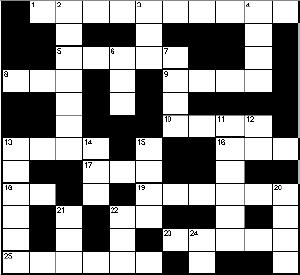 Try your hand at our first Save the Pine Bush Crossword puzzle! Click here for answer key. 1. The Karner Blue Butterfly is currently listed as ____________. 8. How many generations of Karner Blue Butterflies are hatched each year in the Pine Bush? 9. These insects often share a mutualistic relationship with the Karner Blue Butterfly. 10. The soil in the Pine Bush is full of _____________. 13. _____________ the Pine Bush! 17. Lupines are part of the ___________ family. 19. Larval development stage of the Karner Blue Butterfly. 22. KBB’s live in this state too. 23. Newly hatched form of butterflies. 25. Karner Blue Butterflies eat this plant’s leaves. 2. This poet came up with the Karner Blue Buttefly’s Latin name, Lycaeides melissa samuelis. 6. The Karner Blue Butterfly Recovery Plan was issued in two thousand and ___________. 7. Karner Blue Butterflies live for as long as 21 ___________. 11. Karner Blue Butterflies enjoy this calorie-rich liquid. 12. The Dept. of the Interior is located in _________. 13. This human activity is a huge threat to the Karner Blue Butterfly’s habitat. 20. ____________ your Save the Pine Bush newsletter! 21. Fluid that brings nutrients to tree leaves. 22. This animal is responsible for decreasing Karner Blue Butterfly numbers. 23. There’s lots to enjoy _________ the Albany Pine Bush!